Seeing sites and eating your way through new places is gratifying and delicious, but is it life changing like a good adventure? The experiences that require us to step out of our comfort zone, like hiking mountains, swimming with sharks or volunteering in communities far away from home is a great way to air out the stale old routines of home and broaden our perspective a bit. In the name of having good fun in a new place, here are 10 of the best adventure holidays in the world, in our humble opinion. If you’ve ever spoken to anyone who has swum with whale sharks, first of all, you’ll probably want to punch them in the face (jealously is an evil thing), but more importantly, you’ll know it needs to be right at the top of your bucket list. These gentle giants will leave even the most cynical visitors in awe and more in touch with the beauty in our own backyard. These guys hit the north coast of Western Australia between March and September, so it’s the perfect sunny getaway during winter. 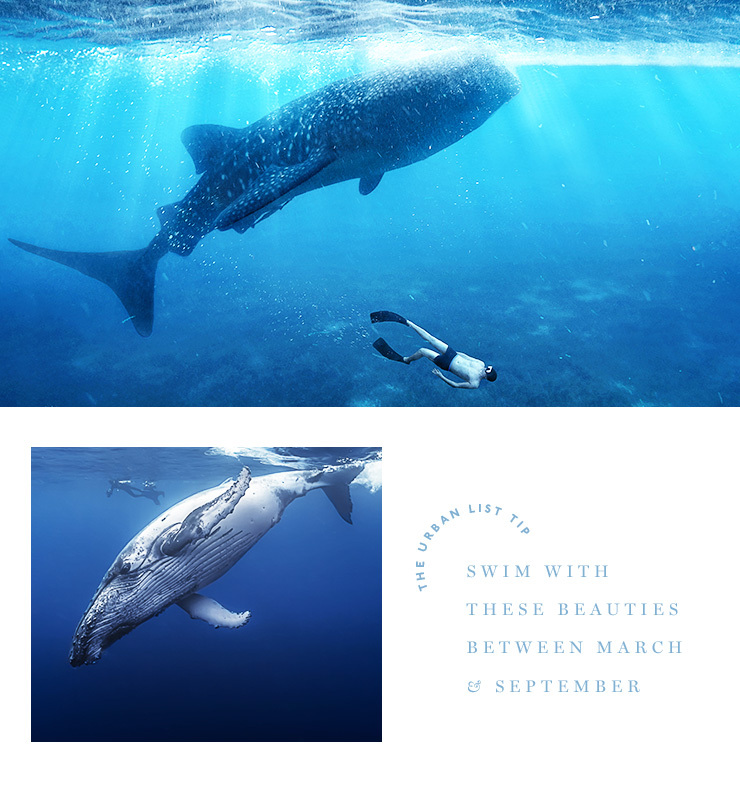 Ningaloo Whale Sharks is also giving thrill seekers the chance to swim with humpback whales between August and November. Shut the front door! This archipelago of volcanic islands in the republic of Ecuador is abundant with 400 species of fish, swimming lizards, hammerhead sharks, manta rays and every marine creature imaginable, making it one of the best diving destination in the world. The best time to see all of the above is between January and May when the water’s warm and the skies are blue. With some of the best dive sites in the world including Wolf & Darwin, these spots are only accessible by boat and these guys will take you there, if that’s a bit steep though, there’s also the option of daily dive tours or land based dives. 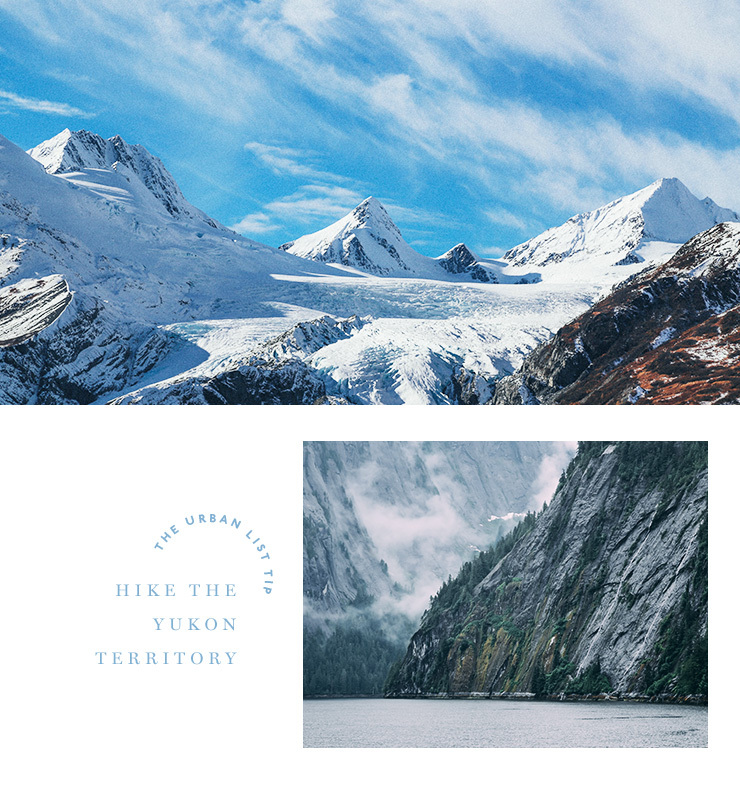 Best appreciated by foot, The Yukon Territory of Canada and Alaska features never ending wilderness and awe inspiring glaciers that provide million dollar views while you hike the rugged mountainous territory. This one is not for the faint hearted or directionally challenged though, so if you need some guidance from a seasoned hiker, the team at Discover the World will sort you out with a tour through national parks, gold mines and all the most noteworthy hiking locations. Home to the bungy and world-famous for white water rafting, heli skiing, kayaking and hiking, New Zealand is an adventurer’s dream. Pick up a Jucy van on arrival and explore one of the many routes of the South Island, leaving yourself at least a month to do so—these kinds of trips are best done with time on your hands. Stop in at Queenstown and jump on the Nevis Bungy Swing, take a ride on a jet boat through the Shotover River Canyons and ride the Luge over Lake Wakatipu. Then head for more rugged terrain and kayak the Abel Tasman or work up a sweat doing one of the Great Walks. Sharing the Indian ocean in the eastern part of Africa, Zanzibar features crystalline blue waters, a stone town with white domed mosques reminiscent of Greek architecture and the odd idyllic sailboat drifting by. 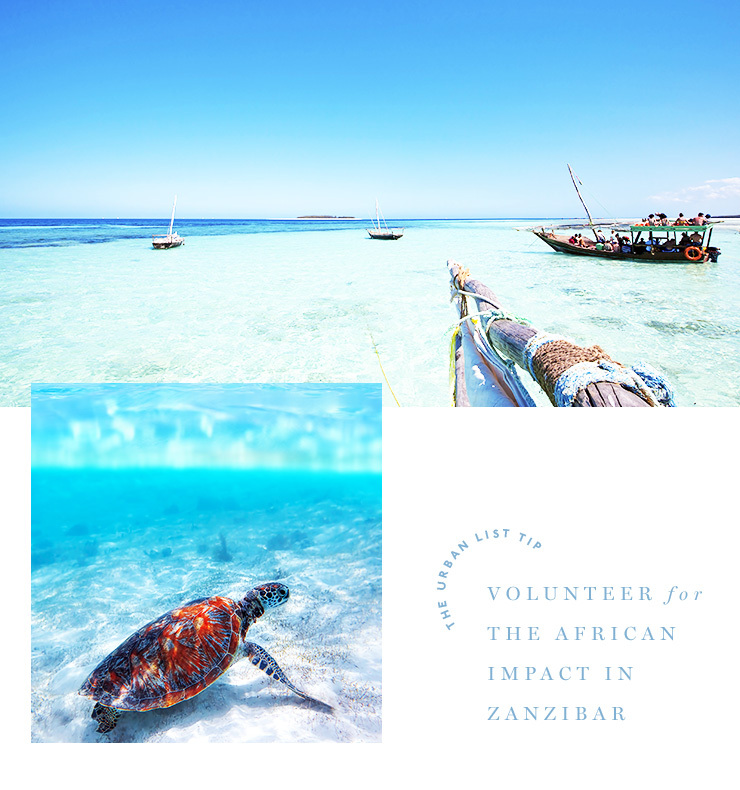 Aside from its natural beauty and rich history, Zanzibar is a great volunteering destination. The African Impact program offers meaningful volunteering experiences (unlike many programs out there—make sure you do your research!) and they’re currently working tirelessly on a marine conservation and dolphin research program, as well as a teaching and community support center that you can apply to help out with. The name of this country says it all, from ice-climbing, caving and glacier hiking, there’s so much incredible and unfamiliar territory to explore and expand your horizons with. We recommend checking out Extreme Iceland, as they do quality group or private tours and provide info if you’re wanting to do a self-driven tour. If you’re feeling brave, take a snorkel in the Silfra Fissure—the gap between two tectonic plates, meaning you’ll be snorkelling between Europe and North America in some of the clearest waters you’ll ever see. 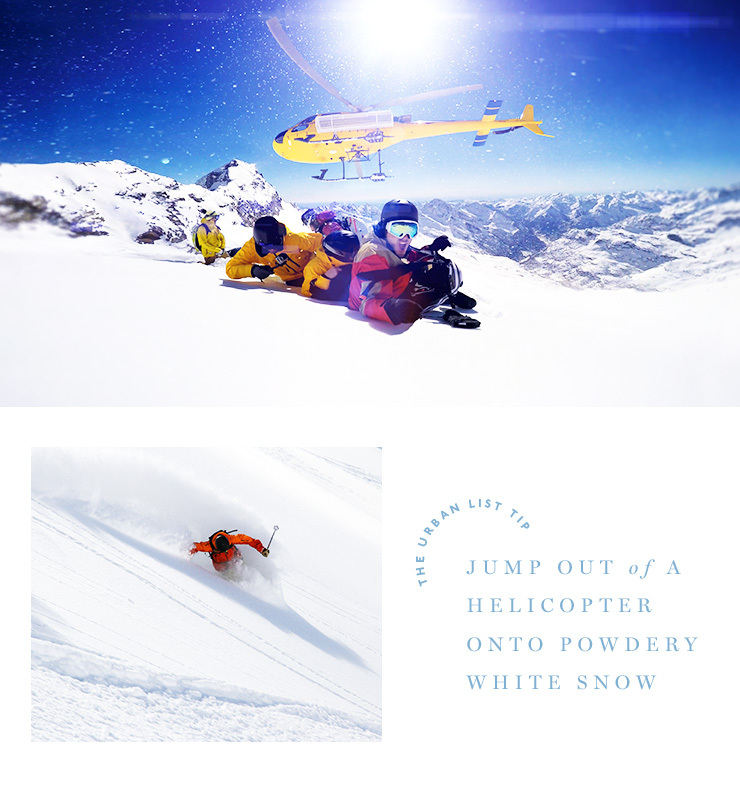 If you don’t know what that is, let us explain—it’s a thing where you willingly jump out of a helicopter onto untouched powdery white snow otherwise inaccessible to the average skier. Best for those of us that are already comfortable on a pair of skis and with an appetite for adventure, Canadian Mountain Holidays will supply all the gear and as they say, every great story starts with a heli. There’s more to Cuba than old Havana and 50’s cars, with incredible natural settings like the Pinar del Rio province that you can explore like a Cuban cowboy. Spend up to five hours on horseback each day trailing through the foothills of Viñales Valley, past tobacco fields and through the Escambray mountain range. The guys at Wild Frontiers Travel will take you there and sort out everything you need. 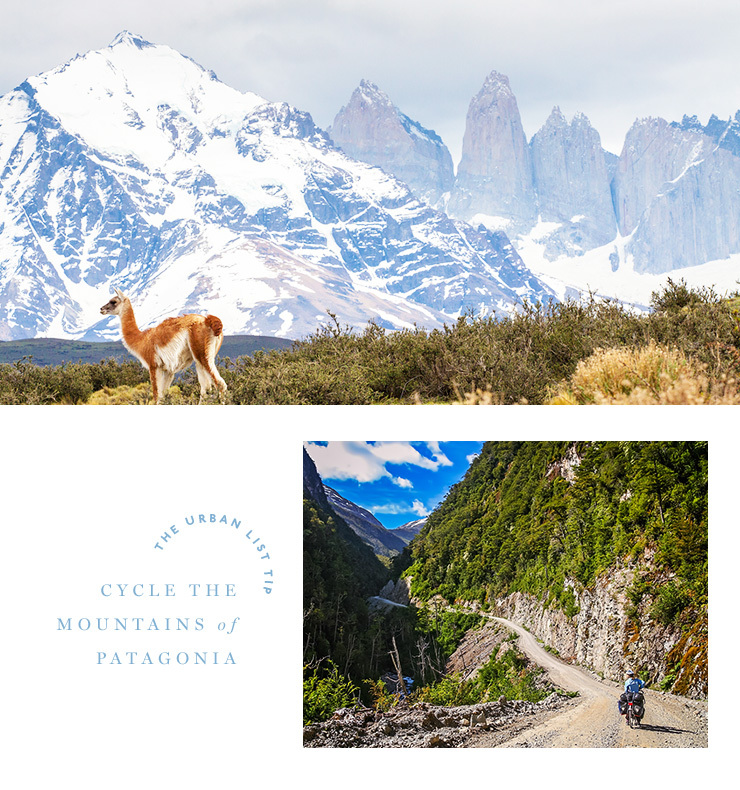 A few years back, a guy called Jedidah Jenkins took a 16-month bicycle ride from Oregon to Patagonia. If you don’t quite have this amount of time on your hands but it sounds like your kind of thing, then why not do a mini version? With its wild landscape of jagged snow-capped peaks, glacial lakes, valleys, ice fields, rivers and plenty of information about recommended routes and long distance cycle advice online, start here and go forth! Come face to face with your fears and the glistening chops of a great white shark in South Africa, the only thing separating you will be a metal cage and doesn’t that sound delightful? These guys are the experts, using a secret chum mixture (yum), the ingredients of which are top secret because they result in 99.9% shark sightings on their trip! Want more? Here are 9 Magical Swimming Spots From Around The World.